Austin was the site for the 1985 North American Science Fiction Convention when WorldCon was in Australia that year. Fred and his circle of friends got the idea to bring WorldCon to Texas after the 1988 WorldCon in New Orleans. 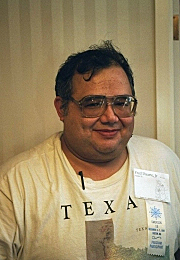 After bidding for and winning the 1997 WorldCon, he chaired the 2000 World Fantasy Convention in Corpus Christi, and co-chaired the 2006 WFC in Austin. He’s also chaired or co-chaired four or five ArmadilloCons. What makes San Antonio an attractive 2013 Worldcon bid site? One of the big reasons is how much space there is at the convention center and the proximity of the big hotels to it, such as the Marriott Rivercenter, Marriott Riverwalk, and now the Grand Hyatt. You need 1800 room nights for the two peak nights at a WorldCon and now you can get them in just three hotels. You also need something to entertain folks besides the convention, and the Riverwalk fits the bill perfectly. 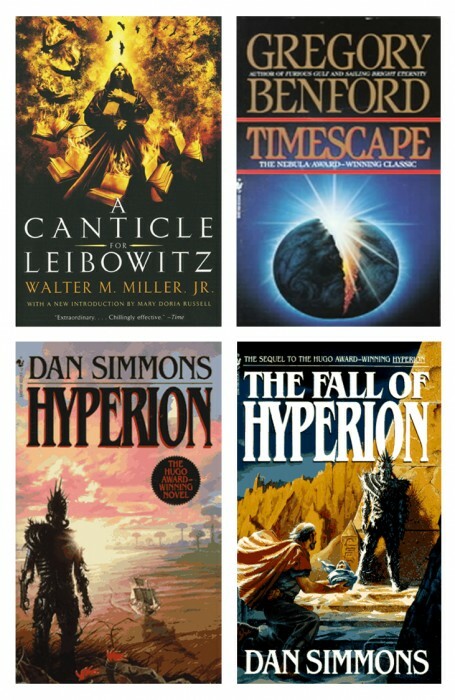 Now that it’s been extended, there’s even more new enjoyment for travellers who attended Worldcon when it was in San Antonio back in 1997. You were a vice-chair for that Worldcon. What worked especially well at that show? What do you hope to improve upon this time around? The 1997 Worldcon was considered a big success by the attendees. People kept coming up to us and saying what a great thing the Riverwalk was, and we replied, “We told you all along you would like it!” The Masquerade and the Hugo Awards Ceremony worked especially well that year. Both were held at the Marriott Rivercenter, which has the largest ballroom in the state. What we need to work on for next time is getting even more qualified volunteers, regardless if they are local or not. How can San Antonians help bring Worldcon to the city in 2013? They can do it by just going to the local sf conventions in Texas, such as ArmadilloCon, FenCon, ConDFW or ApolloCon in Houston, and look us up at our bid table. Pre-support the convention. A presupporting membership is a way of contributing money to the bid committee as a way of helping to spread the word at many conventions around the US about the bid. Bidding for Worldcon is a very expensive endeavor. We estimate that it cost us $60,000 in bid costs to bring the 1997 WorldCon to San Antonio. We have several levels of presupporting starting at $20. Please see our website, join today, and spread the word. They can also get more details about Worldcon, and how they are run, by attending SmofCon, the SF convention runners’ convention. It will be held this year on the first weekend of December at the Hilton Garden Inn in downtown Austin. I will be there as well as several others working on the 2013 Texas Bid. If you go, please look us up. We’ll be happy to answer any questions you might have about the bid or about conventions in general.